When you first decided to become a nurse, you might have thought of nursing as a general job title in a high-paying field. As you go through nursing school, you realize nurses can choose from a range of specialities, from midwifery to teaching. 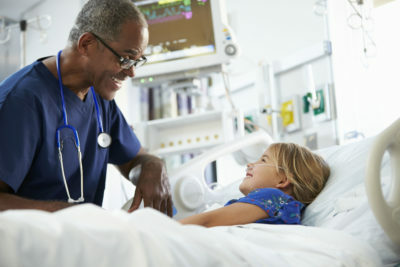 There are many specialization options, each with unique benefits, which is why nursing as a profession appeals to such a wide variety of people. 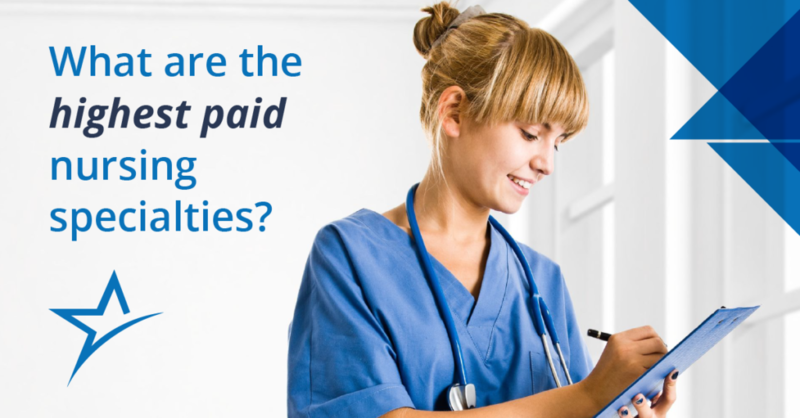 Which nurses get paid the most? Read on for salaries and job descriptions of these specialties. In nursing, the more education you have, the higher the pay will be. Specialties vary, but a nurse’s earnings increase in proportion to his or her level of education. What’s the difference between a nurse & nurse practitioner? 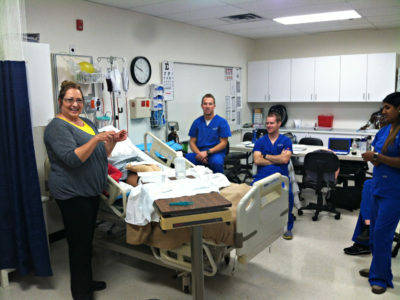 All nurses have some level of post-secondary education. A nurse may have an associate, bachelor’s, master’s, or even doctorate degree. To become an RN, you must have an Associate Degree in Nursing (ADN) at minimum. Most hospitals and institutions encourage nurses to continue their education and earn a Bachelor of Science in Nursing (BSN); like any other bachelor’s degree, this usually takes four years. To become a nurse practitioner, you must earn a Master of Science in Nursing (MSN), which requires an additional two years of graduate school. Ph.D. nurses have a Doctorate of Nursing Practice (DNP). Many of the jobs below do not require a master’s degree; however to increase your salary by adding “practitioner” to your title, you’ll need an MSN. Related resource: Which Healthcare Specialty Best Fits Your Personality? The first requirement of being a pediatric nurse — as you may have guessed — is that you must love kids! Undergraduate programs do not offer a pediatric specialty, but you can get experience by seeking out a pediatric rehabilitation unit, pediatric intensive care unit, or other clinical environment that caters to kids. After gaining experience working with children as a registered nurse, pediatric nurses can take an exam to become a Certified Pediatric Nurse (CPN). Becoming a certified nurse midwife (CNM) is a lucrative choice. CNMs enjoy a special relationship with patients. How many people can say that every day they help bring healthy, new lives into the world? Nurse midwives care for their patients through the joys and challenges of pregnancy, labor, and birth. They deliver babies and work alongside obstetricians throughout the course of pregnancies. Not only do they provide patients with expert medical care; midwives are often a pillar of emotional support through the process of childbearing for many women. As a CNM, your patients will look to you for guidance during one of the most exciting moments of their lives. Talk about rewarding! But in situations where complications do arise during pregnancy and labor, you’ll also be responsible for responding with the right tactics to aid in the swift rescue of two lives rather than one. After babies are born, you’ll help new mothers with follow-up care and education. Psychiatric Mental Health Nurse Practitioners (PMHNPs) treat patients with a range of psychiatric and mental health disorders, as well as behavioral challenges. Though these ailments differ from other issues most nurse practitioners address, psychiatric care has its own unique rewards. Providing medical treatment, as well as counseling and other mental comfort to patients, means psychiatric nurse practitioners can make a life-changing, positive impact. Nurse practitioners in psychiatric care offer daily physiological, mental, emotional, and even spiritual support. They also help patients avoid isolation, poverty, and other circumstances that can arise as a result of these conditions. PMHNPs can work in either individual, family, or group settings. If you’re compassionate and collaborative in a crisis and during ongoing mental treatment, becoming a psychiatric nurse practitioner might be the right path for you. Family Nurse Practitioners (FNPs) get to make long-lasting connections with their patients and see them through both good and challenging times. FNPs often work collaboratively with primary care physicians, which means they’re a friendly and familiar face in their communities because of close, continual work with patients. In some states, nurse practitioners can operate their own family practices and even prescribe controlled substances, giving them a high level of autonomy. Wherever you live, a typical visit with an FNP might include consultation, assessments, and going over prescriptions. Nurses of all specialties are currently very sought after, but nurse practitioners are likely to find themselves in an especially friendly job market because of their high demand. Do you have a special calling to work with the elderly? Many nurses do, and one very lucrative option for them is to become a gerontological nurse practitioner. GNPs are in high demand due to the size of the baby boomer population and the increase in average lifespan. The number of elderly patients will increase more and more in the coming years. If you decide to become a gerontological nurse practitioner, you could work in a nursing home, hospital, or clinic. The elderly have a specific set of health needs, which requires its own nursing specialization. Their wealth of wisdom and life experience makes caring for geriatric patients especially enriching for many nurses. Critical care nurses, also known as intensive care unit (ICU) nurses, have to act quickly under pressure and possess excellent decision-making skills. If your idea of a life-saving nurse means intervening in critical moments of a patient’s health, this specialization will fit your ambitions perfectly. ICU nurses need to be cool under pressure and think clearly when situations present a very high risk factor. Aside from measuring vitals, critical care nurses need to perform procedures, treat wounds, administer IV fluids, and communicate with patients’ families. This means that strong, independent leadership as well as nuanced communication skills are wonderful assets for a CCN to have. Most people agree that it doesn’t get much more lucrative in nurse specialization than becoming a Certified Registered Nurse Anesthetist (CRNA). With a median salary of almost $158,000, this particular specialization stands out in compensation above the rest on the list. One reason for this is that nurse anesthetists are more prone to the complexities of potential lawsuits coming their way. They also need high levels of training to ensure their decisions are made with the best possible consideration. A CRNA’s main responsibility is to give anesthesia to patients who are going into surgery. This means you’ll need to be able to gauge your patients’ responses to anesthesia pre- and post-operation, which requires quick discernment in emergency situations. If you would do well in this high-responsibility nursing role, you’ll be in great shape to find a position. Nurse anesthetists continue to be in very high demand. When reviewing a bit about each of these high paying nursing specialties, you might have noticed that each of them requires a high level of education. And while this list doesn’t include many more specializations, most high-paying career paths do involve gaining a registered nurse license, Bachelor of Science, a master’s, or even a doctorate degree. Whether you need to advance your education and complete your BSN, MSN, or DNP, or you’re just starting out in the medical field, nursing offers incredible career paths. Becoming a specialized nurse in one of these high-paying fields requires ample education, along with a passion to help others and the determination to evolve as populations do. And like all of life’s journeys, it starts with a first step. Are you already in one of these nursing specialties? We’d love to hear from you! Tell us about your professional journey as a specialized nurse on our Facebook page. 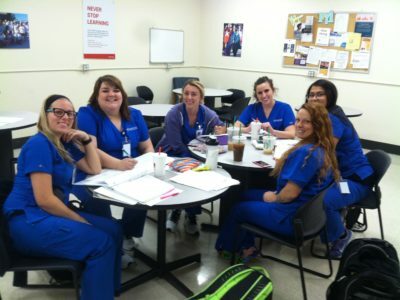 To learn more about Ameritech’s nursing programs, visit our program page.